Job interviews are notoriously nerve-racking. Even if you’ve done it a hundred times, the pressure of trying to make a good impression can be terrible. But the good news is that if you break it down into a few simple components, it’s much less intimidating. Once you know the common interviewing techniques, you’ll be much more comfortable with the whole process and ready to ace that interview with an executive search firm in Milwaukee. Are you familiar with the STAR interviewing technique? This is when interviewers ask a question that’s designed to prompt you to give an example of a Situation/Task, your Action, and the achieved Results. It may seem a little silly, but it’s a great tool to keep both you and the interviewer organized. It’s also a great technique for evaluation potential employees, since it’s part of behavior-based interviewing. This works on the theory that past behavior is the best indicator of future behavior, so interviewers at executive search firms in Milwaukee like to use this tactic to evaluate how you’ll perform in a specific job. The good news for you is that this interviewing style gives you a great framework to base your answers on. Before you answer, take a moment to think of a specific example – they’ll be looking for concrete information, not hypotheticals – and organize your response along the STAR guidelines. Pay close attention to the interviewer so that you don’t end up describing how you put yourself through college when the question was actually about how you deal with conflict. Keep in mind that this tactic works both ways. Not only does it help the executive search firm in Milwaukee to evaluate your strengths and potential job performance, but it also helps you to see exactly what they’re looking for. After all, part of the reason for a job interview is so you can evaluate the job at the same time the interviewer is evaluating you. Getting the hang of the STAR technique will put you way ahead of the curve when it comes to interviewing with an executive search firm in Milwaukee. Being able to anticipate the form of the questions you’ll be asked will give you a big advantage and make it much easier to come up with great answers. Using this framework will also help you when it comes to writing resumes and cover letters, as well as networking in general. Breaking your career into situations, actions, and results will help you develop a succinct and accurate communication style that will get your point across clearly and concisely. 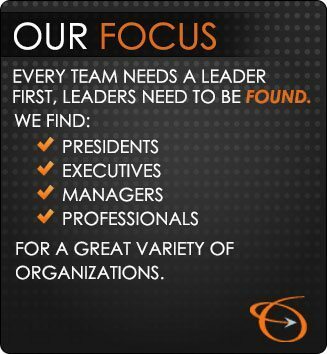 If you’re ready to jump back into the job market, it’s time to get an executive search firm in Milwaukee on your side. Here at the Lawler Group, we have the resources, the expertise, and the proven experience to put you into your next great job. Give us a call today at (262) 241-1600 or email tim@lawlergroup.com.